Harry Lloyd Estate is one step closer to becoming another family’s dream home! Call us today so we can help make your dream home a reality! 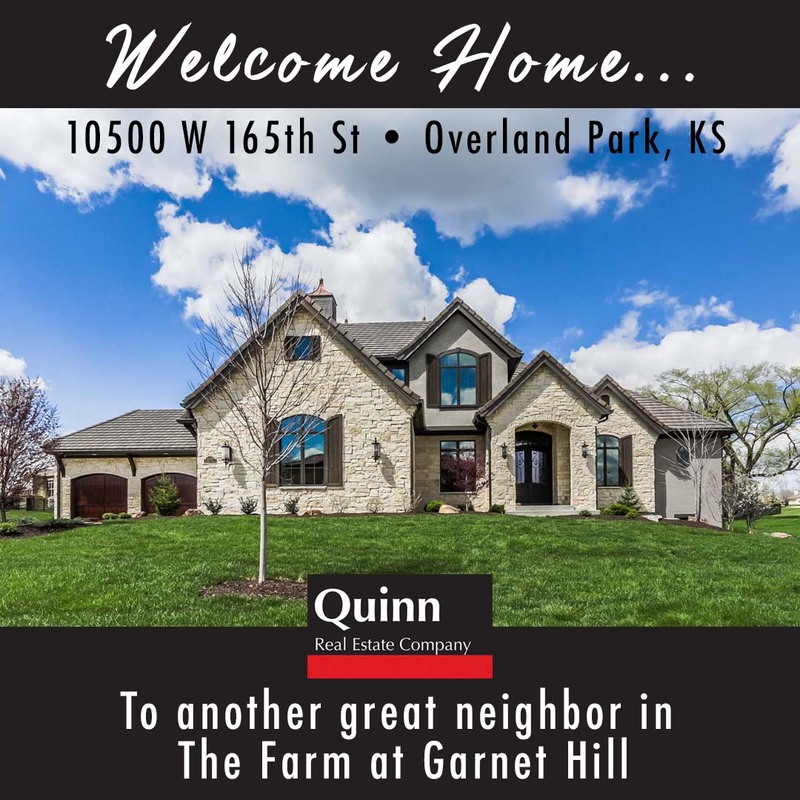 Welcome home to Lot 31 in The Farm at Garnet Hill located at 165th & Switzer in the sought after Blue Valley School District! 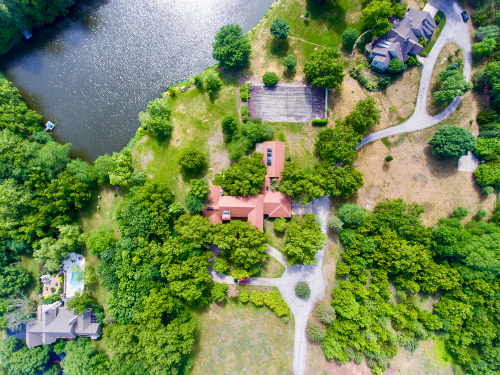 This beautiful 1.1 acre estate lot is within walking distance to the newly paved Coffee Creek Streamway Trail & Park. 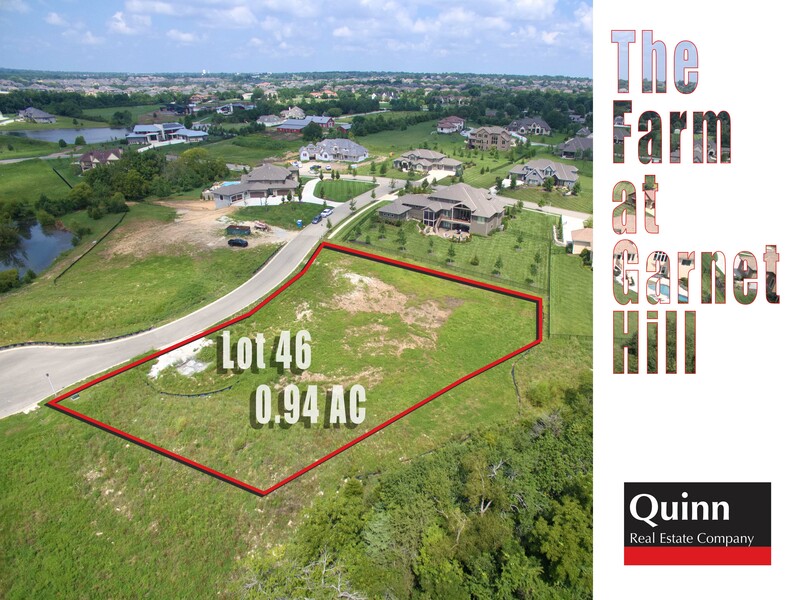 Looking to build your dream home in Johnson County? 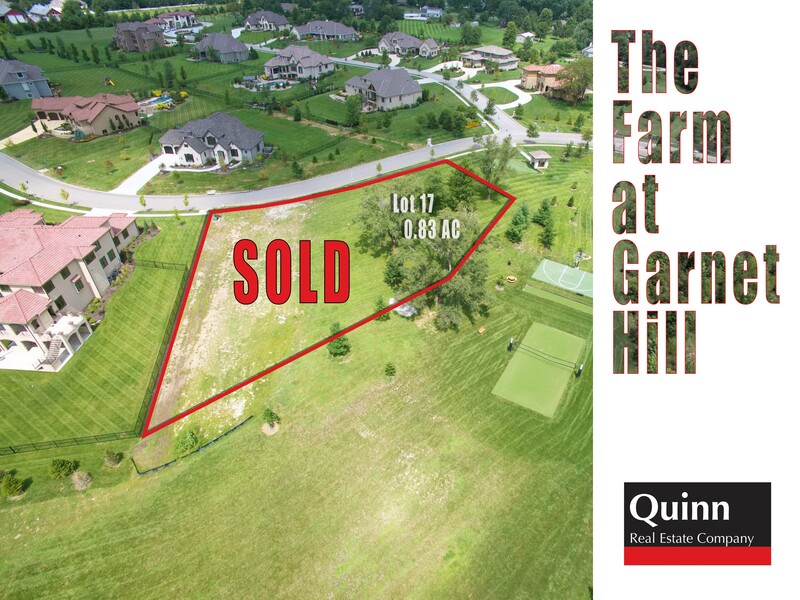 Only 2 more estate lots left in The Farm at Garnet Hill! Contact us now for a personal tour. We’d love to help you secure your dream home’s location today. 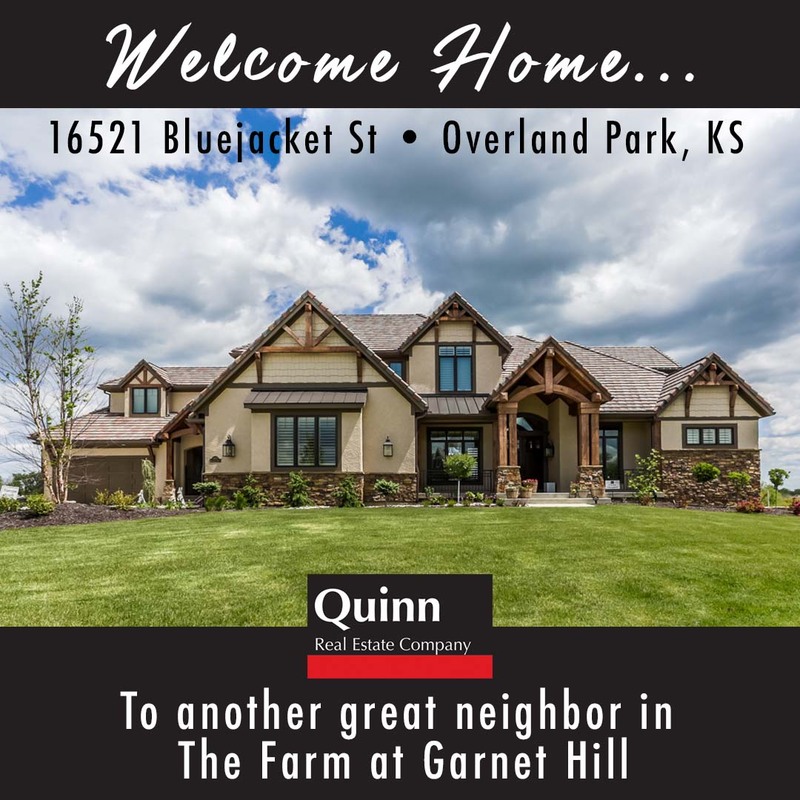 We loved helping make this dream home a reality! 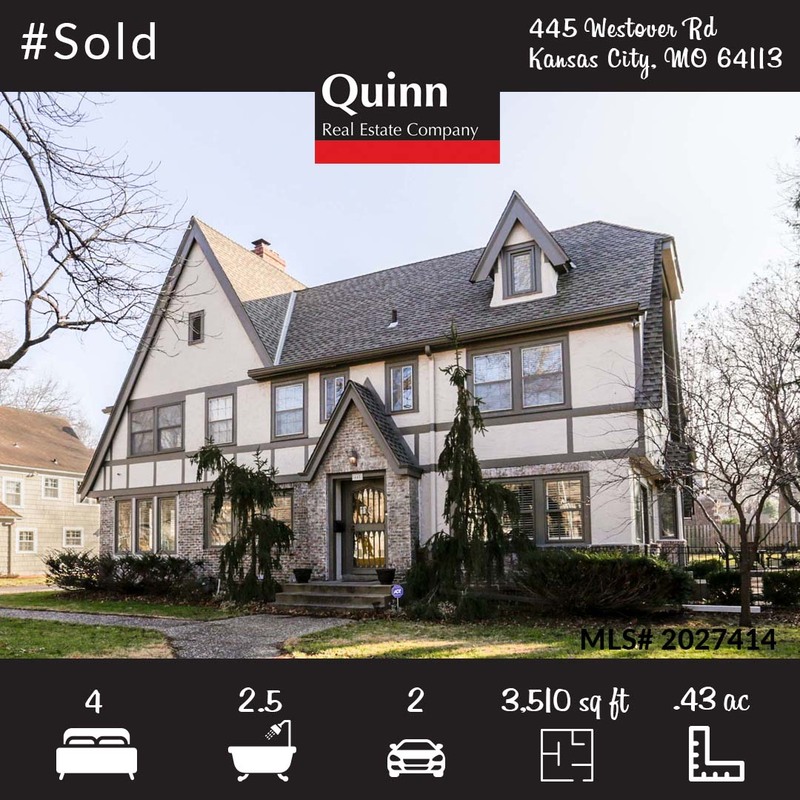 If you or someone you know is looking to buy or sell a home, give us a call. We would love to help! 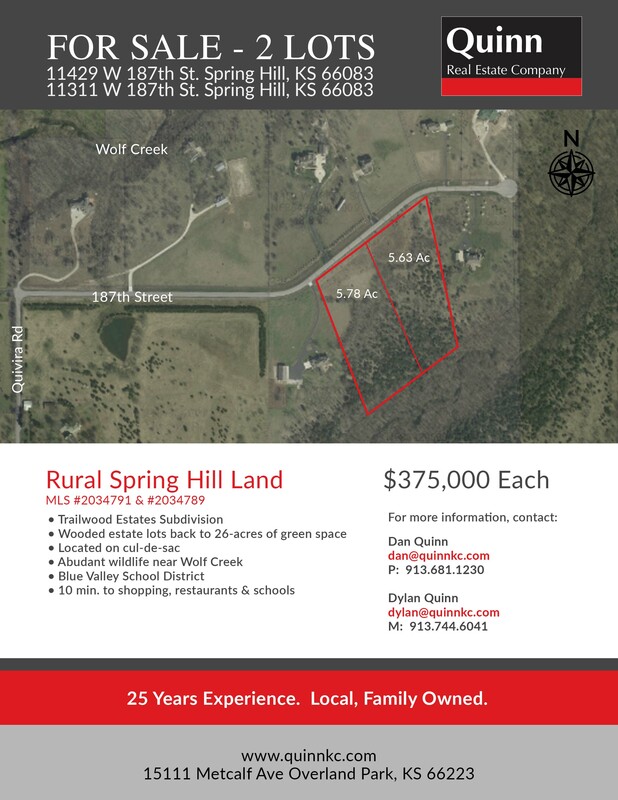 Ready to build your dream home in the desirable Blue Valley School District? 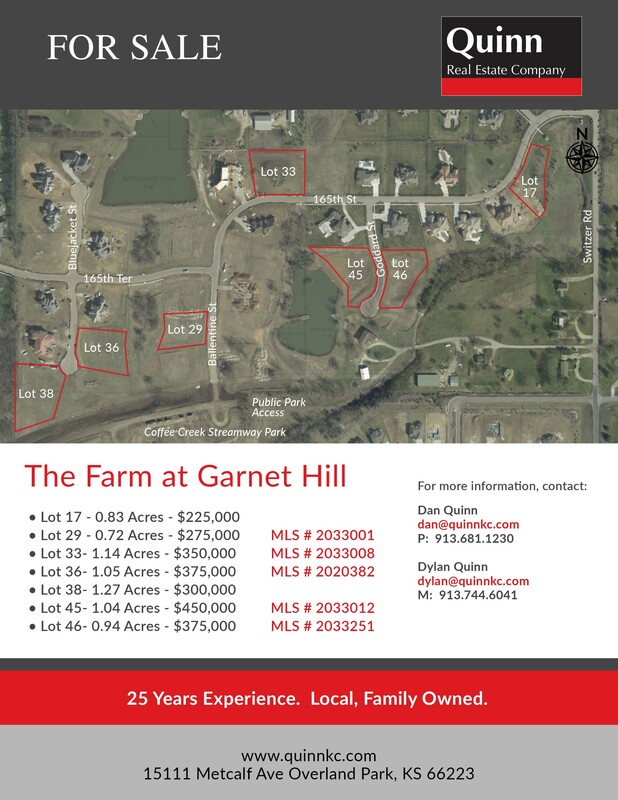 Make Lot 46 in the Farm at Garnet Hill yours today! 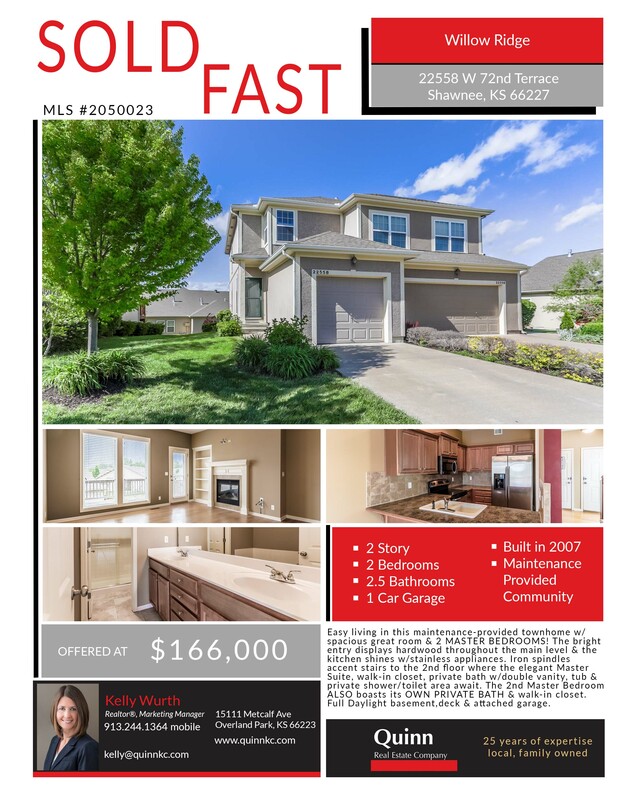 Only 2 lots left in this beautiful Johnson County development, just steps from the newly paved Coffee Creek Streamway Trail & Park. Make your dreams a reality and give us a call today! JUST SOLD this amazing home on acreage! 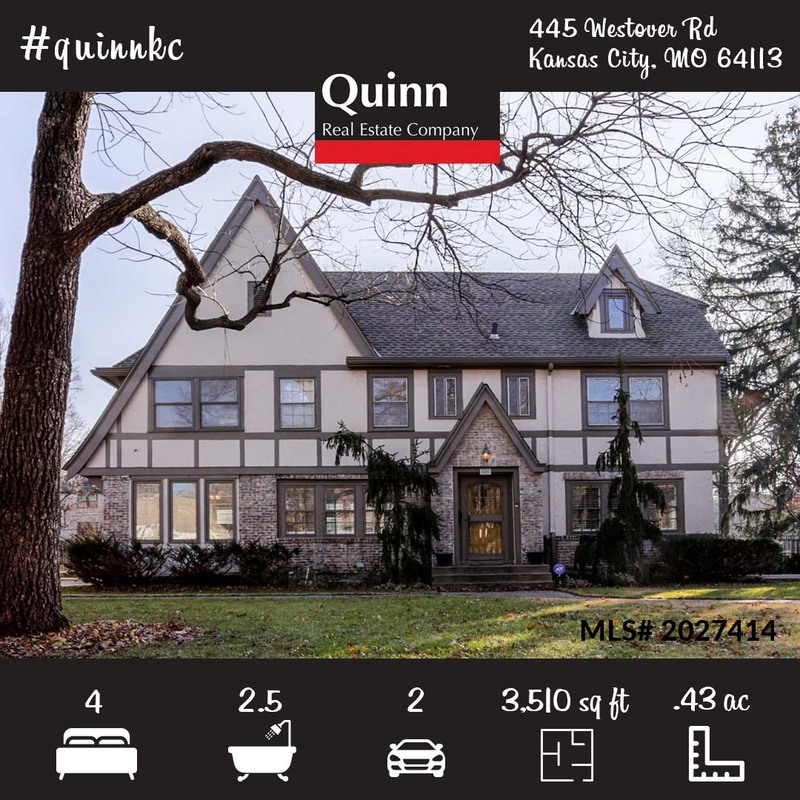 Contact quinnkc.com today to sell or find your dream home. 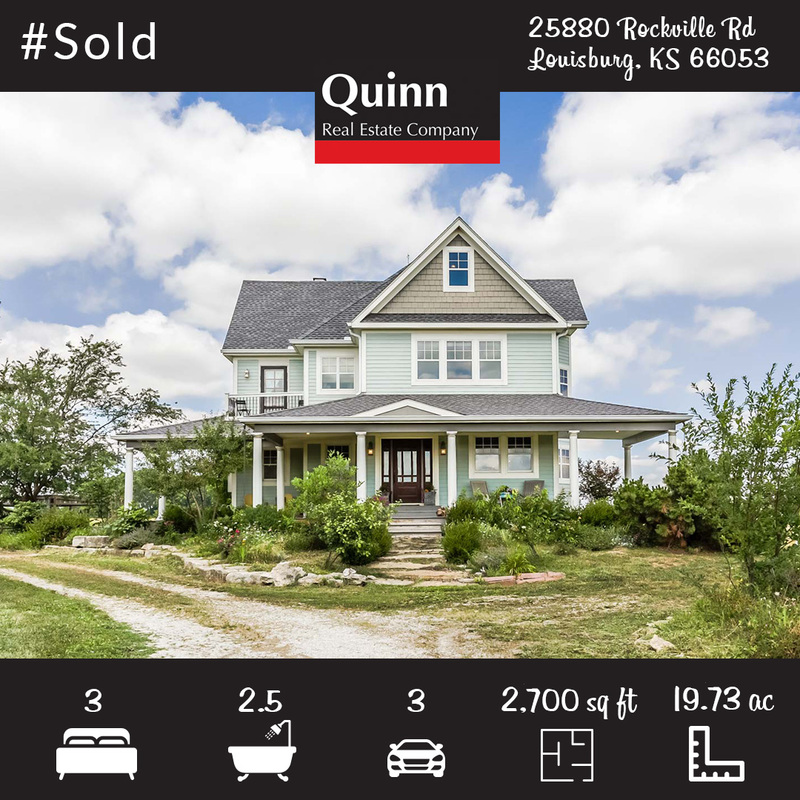 Stunning, private 10 yrs young farmhouse on 20 gently rolling acres! LOT 17 has SOLD! If your looking to build your dream home reserve your lot NOW! 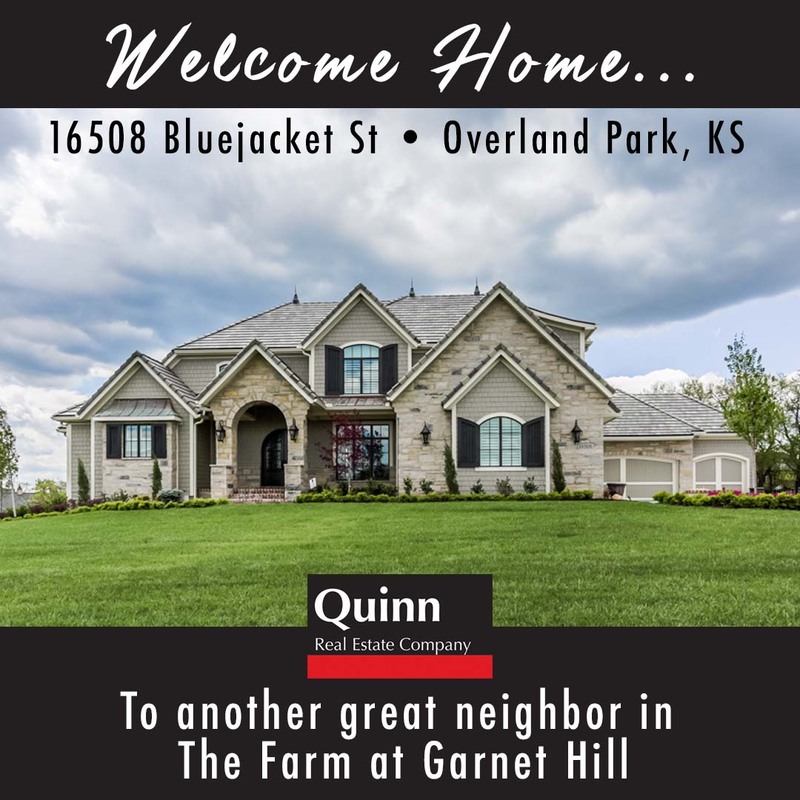 Looking to build your dream home in Johnson County? 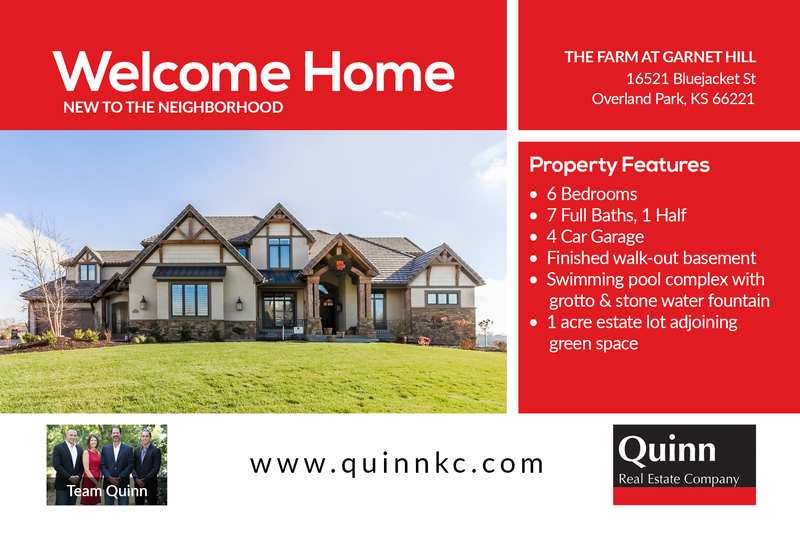 Welcome Home to Lot 17 in The Farm at Garnet Hill located at 165th & Switzer in sought after Blue Valley School district! 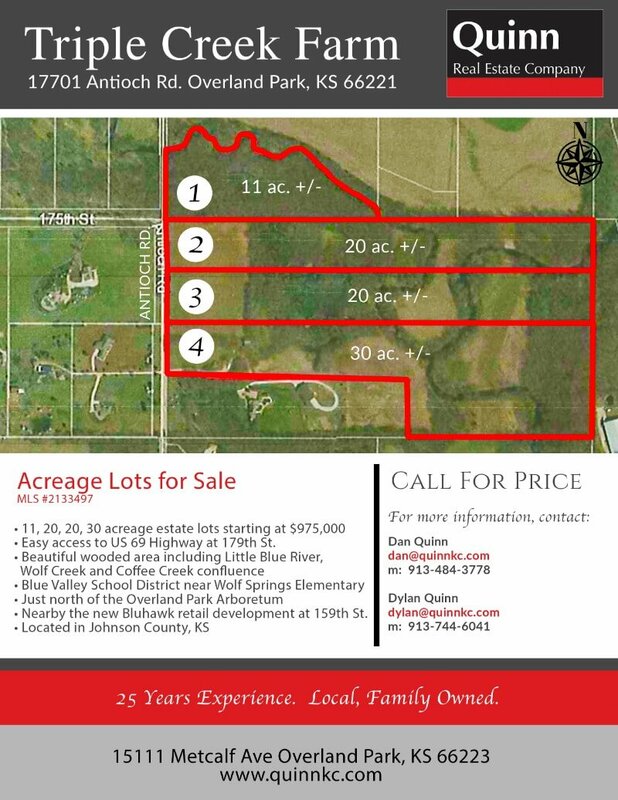 0.83 Acre walk-out lot. East facing back of home adjoins 3 acres of private neighborhood parkland. Property is within walking distance to new paved Coffee Creek Streamway Trail & Park. property to create your own custom estate! Extraordinary 74 Acres with partial crop and hay investment ground. There are 2 ponds on the North East corner of the property. Truly beautiful piece of land that sits high on top of the hill. 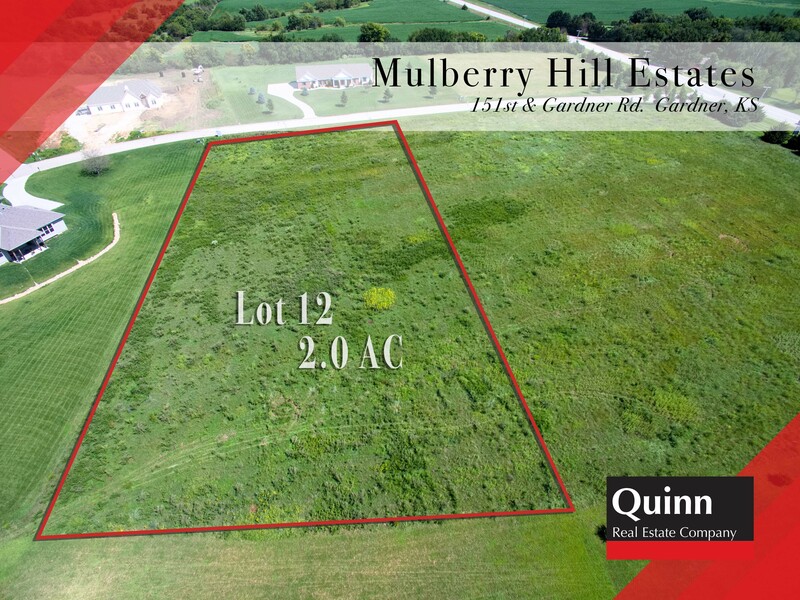 Lot 12 is 2 acres located in Mulberry Hill Estates, an exclusive neighborhood with 22 lots situated on 80 secluded acres. This spacious walk-out lot has an East facing front with a West facing backyard perfect for watching the sunset. 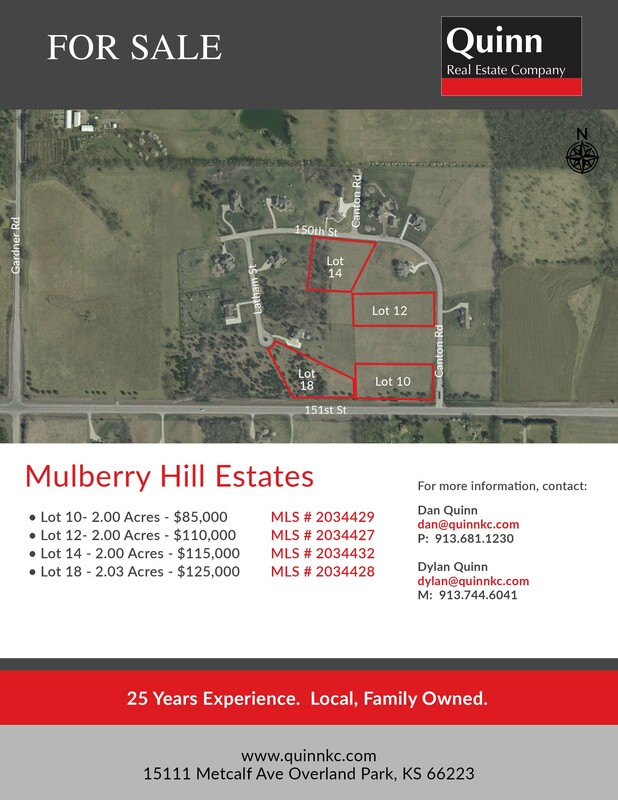 Mulberry Hill Estates is located in Gardner, KS with convenient highway access to I-35. 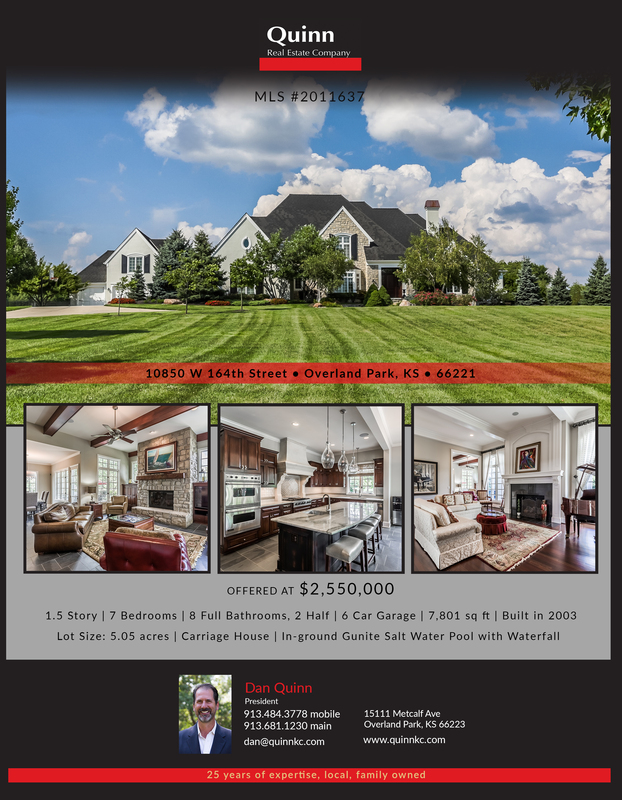 Just a few miles from the popular Prairie Highlands public golf course! 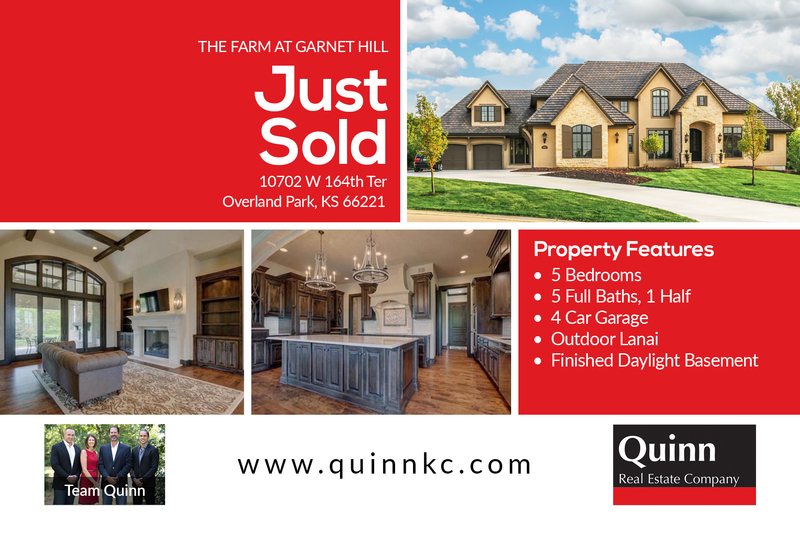 Go to https://www.quinnkc.com/farm-at-garnet-hill to learn more about this fabulous neighborhood! 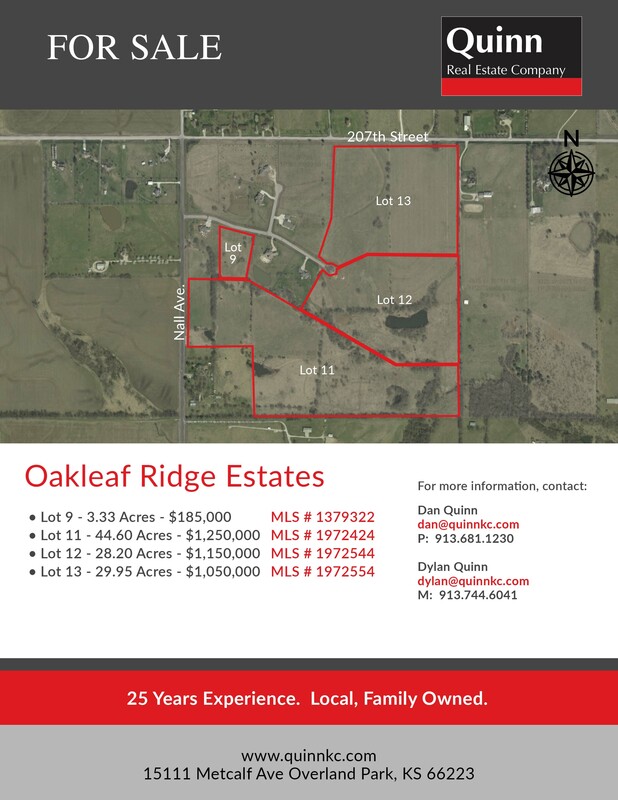 Approximately 1 acre lots located in Johnson County. Sought after Blue Valley School District. Private neighborhood amenities! Close to local shops and restaurants! 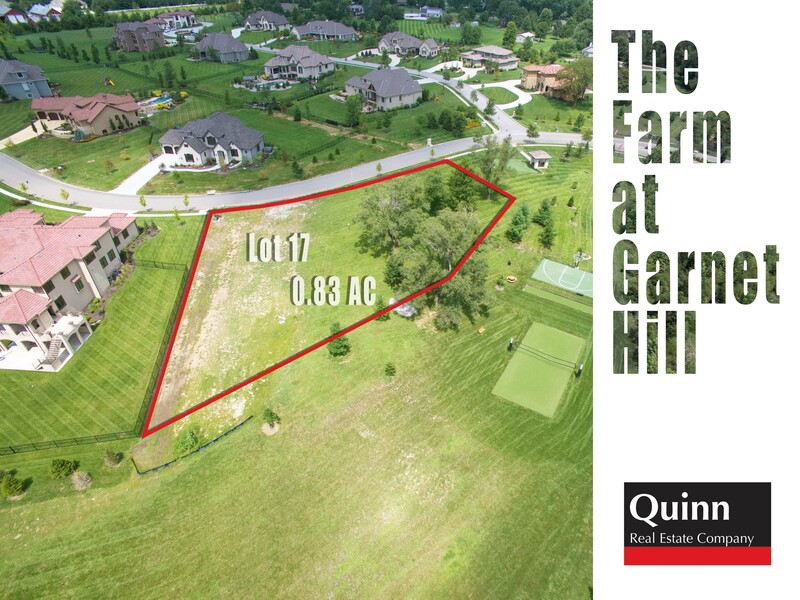 Lot 18 is 2.03 acres located in Mulberry Hill Estates, an exclusive neighborhood with 22 lots situated on 80 secluded acres. This spacious walk-out lot located at the end of a cul-de-sac is ready for you to build your custom dream home. The Southeast facing backyard features many mature shade trees. 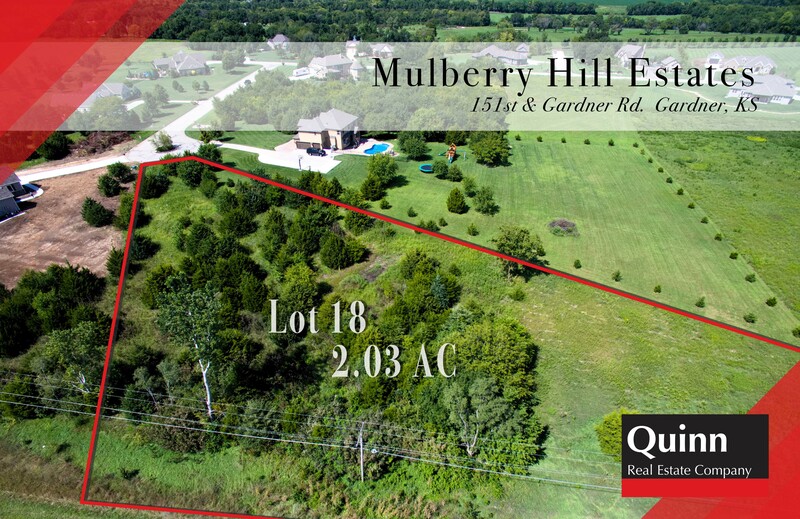 Mulberry Hill Estates is located in Gardner, KS with convenient highway access to I-35. 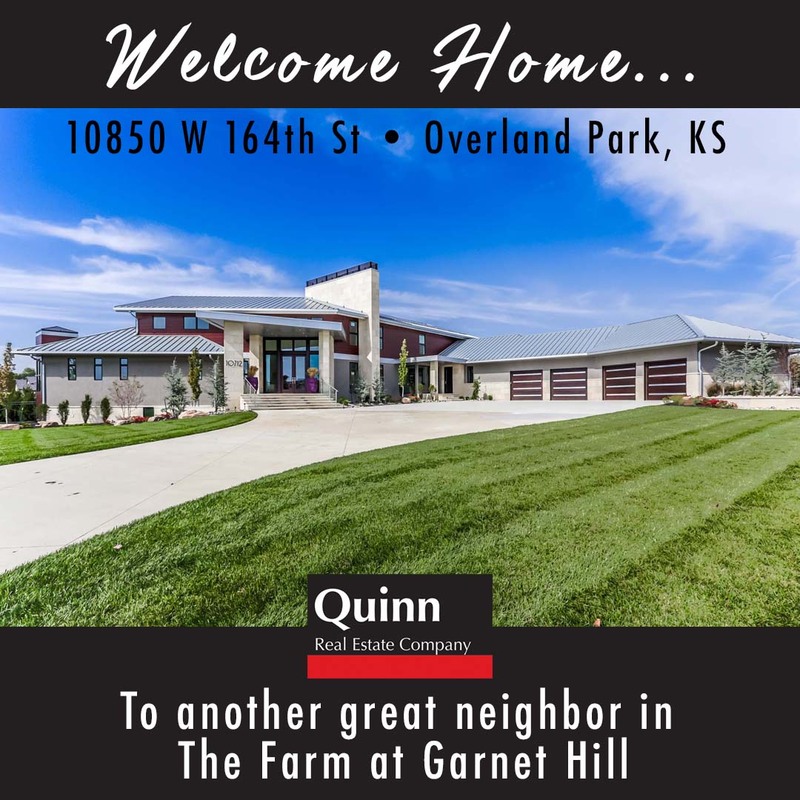 Just a few miles from the popular Prairie Highlands public golf course! 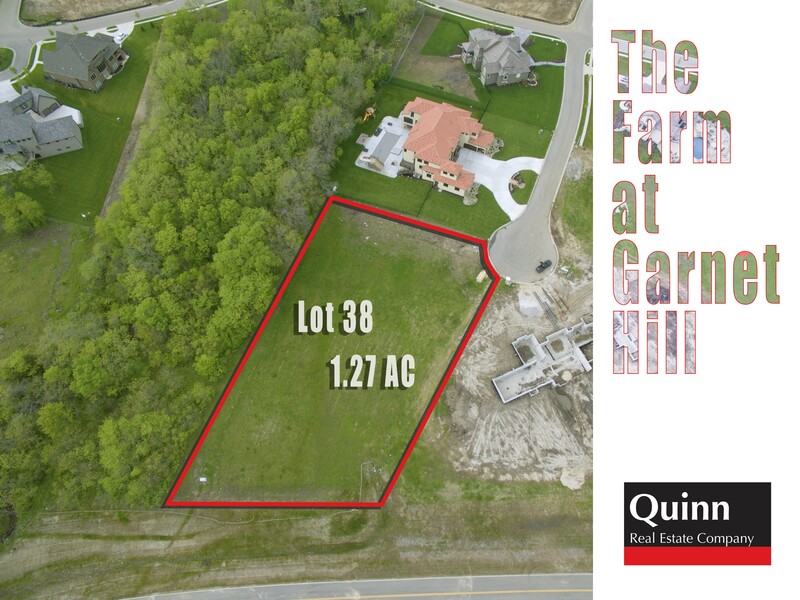 New pool COMING SOON to custom home in Farm at Garnet Hill! 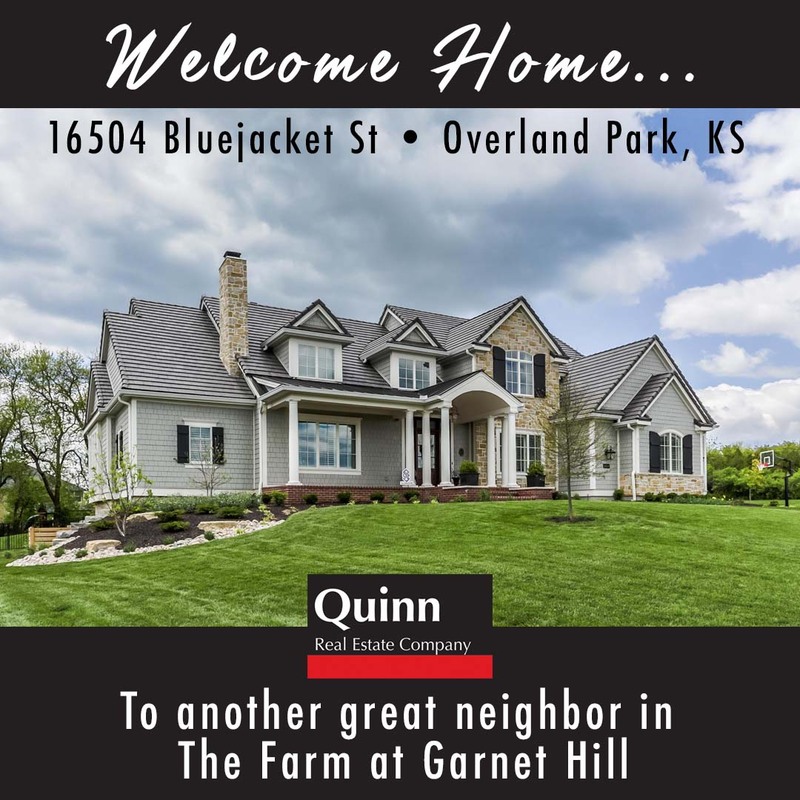 Looking to build your dream home in Johnson County? 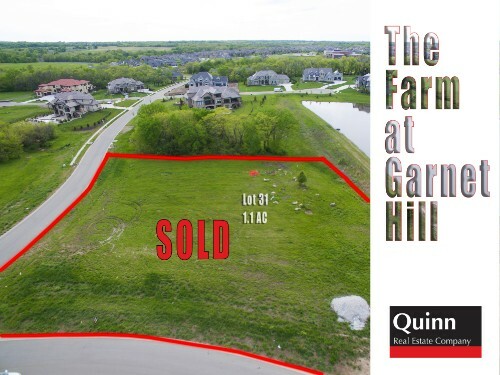 Welcome Home to Lot 38 in The Farm at Garnet Hill located at 165th & Switzer in sought after Blue Valley School district! 1.27 Acre walk-out lot on cul-de-sac. North facing front of home. South facing back of home adjoins permanent greenspace parkland. Property is within walking distance to new paved Coffee Creek Streamway Trail & Park. 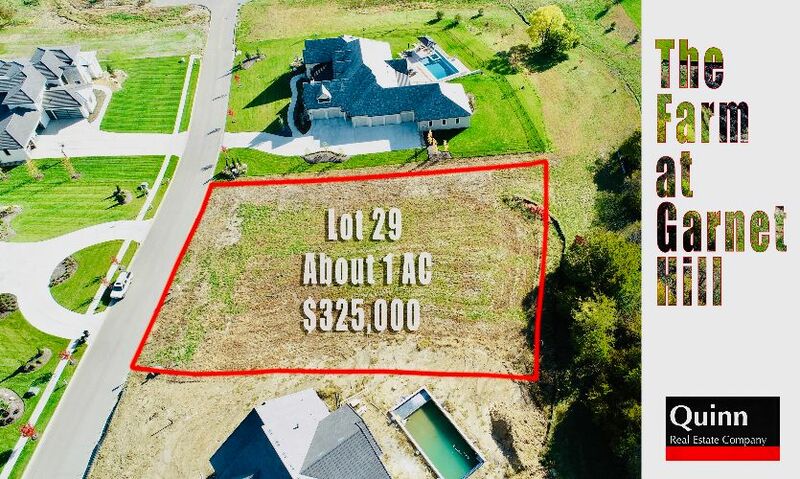 Looking to build your dream home in Johnson County? 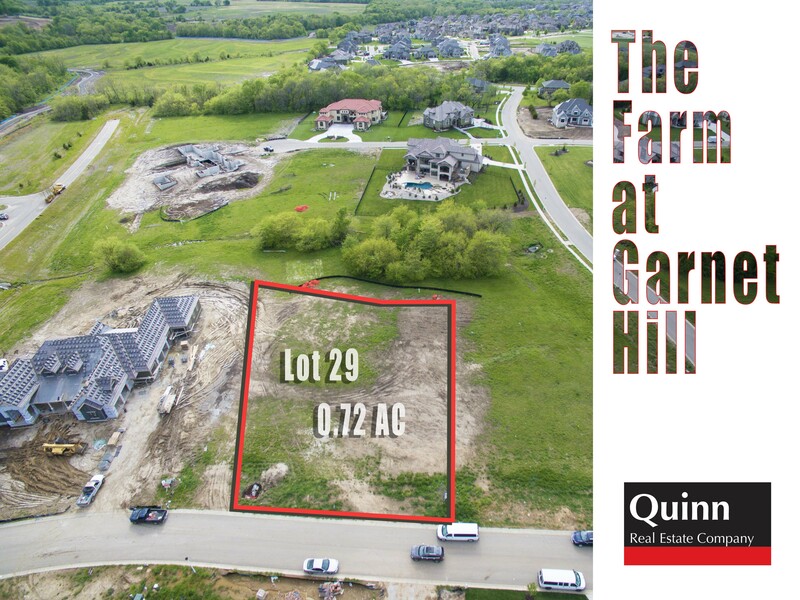 Welcome Home to Lot 29 in The Farm at Garnet Hill located at 165th & Switzer in sought after Blue Valley School district! 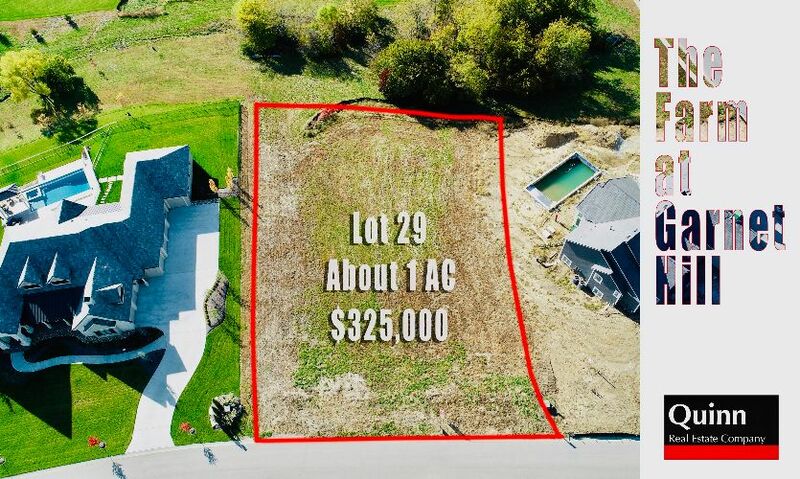 0.72 Acre walk-out lot. East facing front of home. Lot adjoins permanent greenspace buffer. Property is within walking distance to new paved Coffee Creek Streamway Trail & Park. 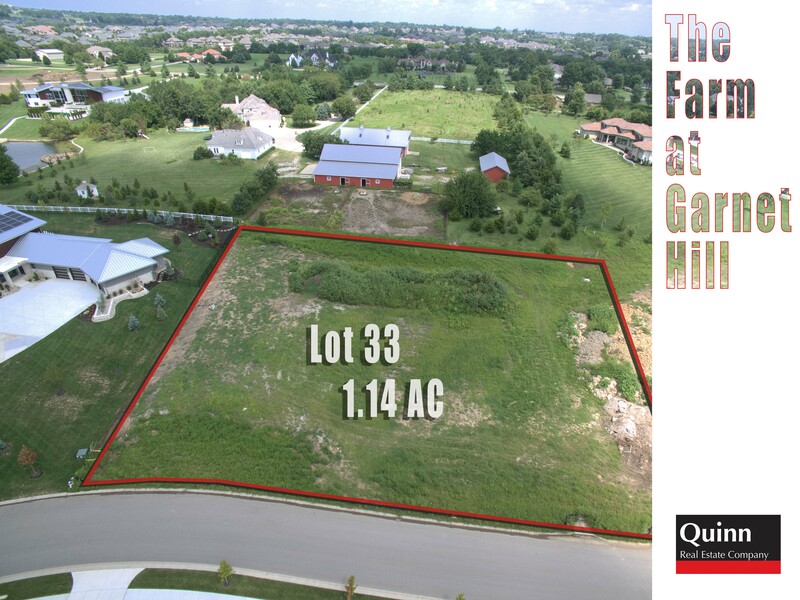 Looking to build your dream home in Johnson County? 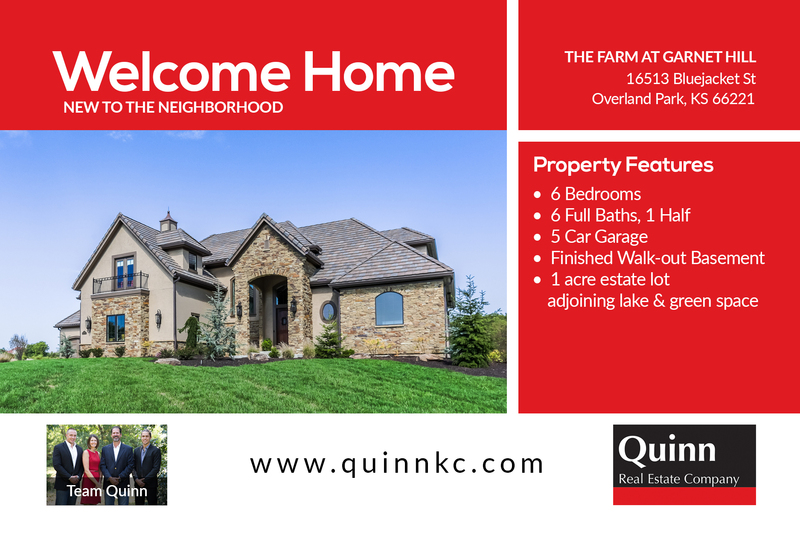 Welcome Home to Lot 33 in The Farm at Garnet Hill located at 165th & Switzer in sought after Blue Valley School district! 1.14 Acre daylight lot. South facing front of home. Property is within walking distance to new paved Coffee Creek Streamway Trail & Park. Looking to build your dream home in Johnson County? 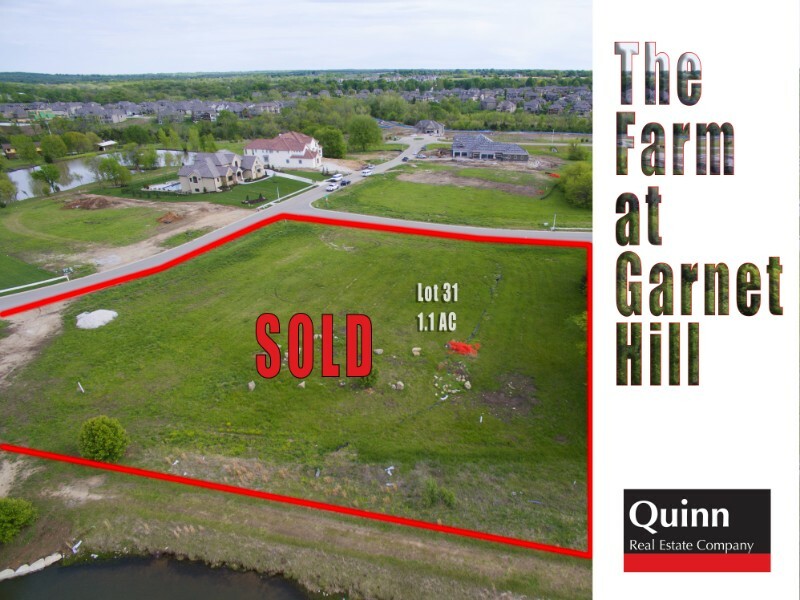 Welcome Home to Lot 46 in The Farm at Garnet Hill! 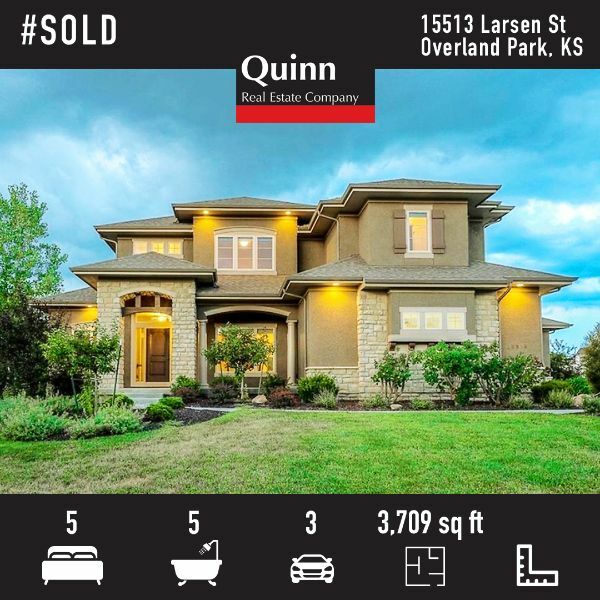 0.94 Acre walk-out lot on cul-de-sac. East facing back of home that overlooks 3 acres of private wooded parkland. Property is within walking distance to new paved Coffee Creek Streamway Trail & Park. 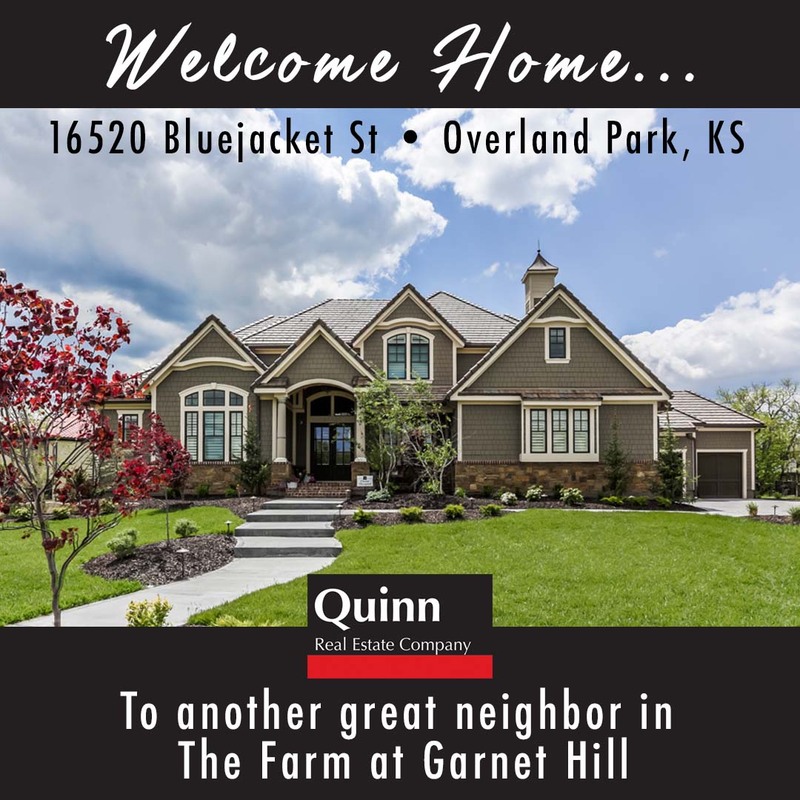 Go to https://www.quinnkc.com/mulberry-hill-estates to learn more about this fabulous neighborhood! 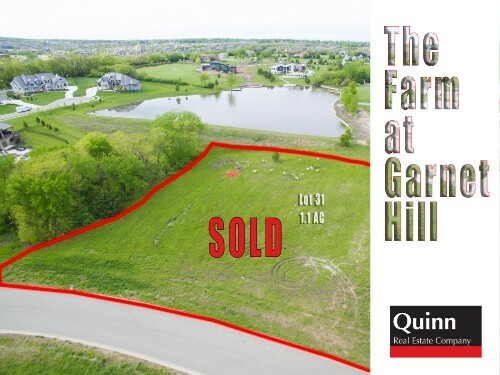 Approximately 2 acre lots located in Gardner, KS. This subdivision has been developed to be a relaxing, traditional neighborhood in a price range to meet the needs of growing families. Served by the Gardner school district. In unincorporated Johnson County, KS. SOLD FAST! Contact us TODAY for assistance with selling, buying or building!! 315 Acres FOR SALE! 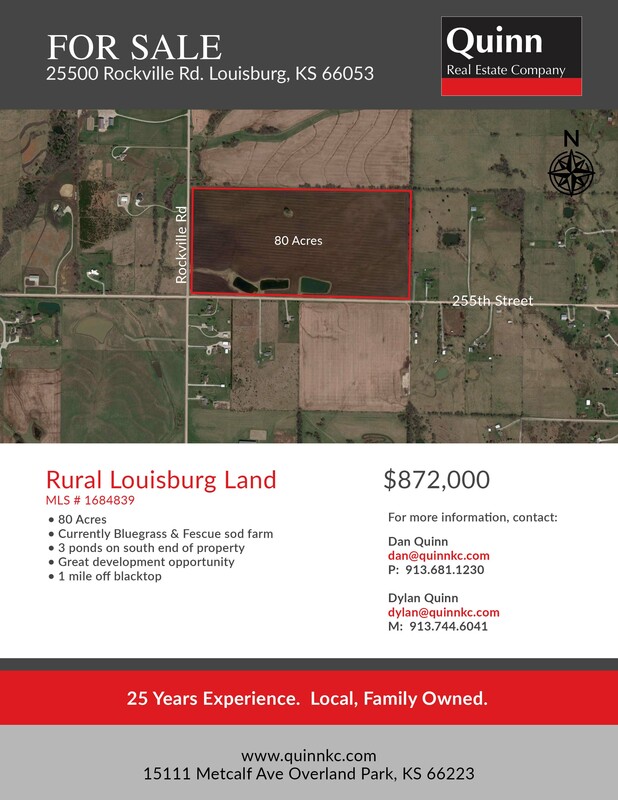 Excellent Ag investment opportunity. native grasses for your prize cattle herd. Some timber for cover and creeks on the property for year round water for livestock. Whitetail deer and turkey cross this property offering wonderful hunting opportunities. Great recreational property for camping, ATV and target shooting. 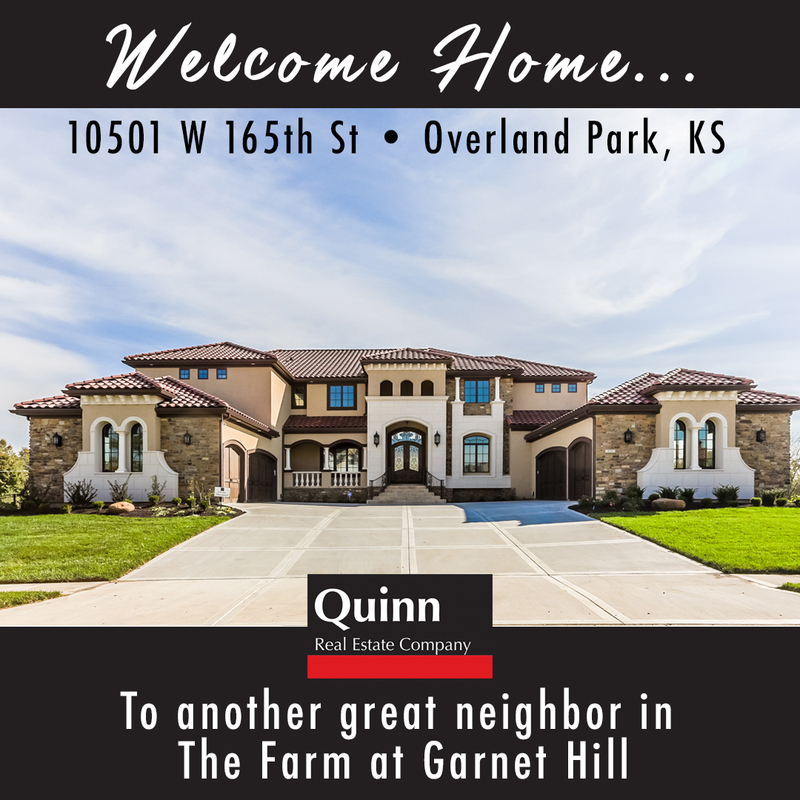 Go to http://www.quinnkc.com/oakleaf-ridge-estates to learn more about this fabulous neighborhood! SOLD FAST!! Contact us TODAY for assistance with buying, selling or building! FOR SALE...2 separate lots in Mission Hill Place. Stilwell, KS. Johnson County. Blue Valley School District. Private cul-de-sac lots. 10 minutes to amenities. 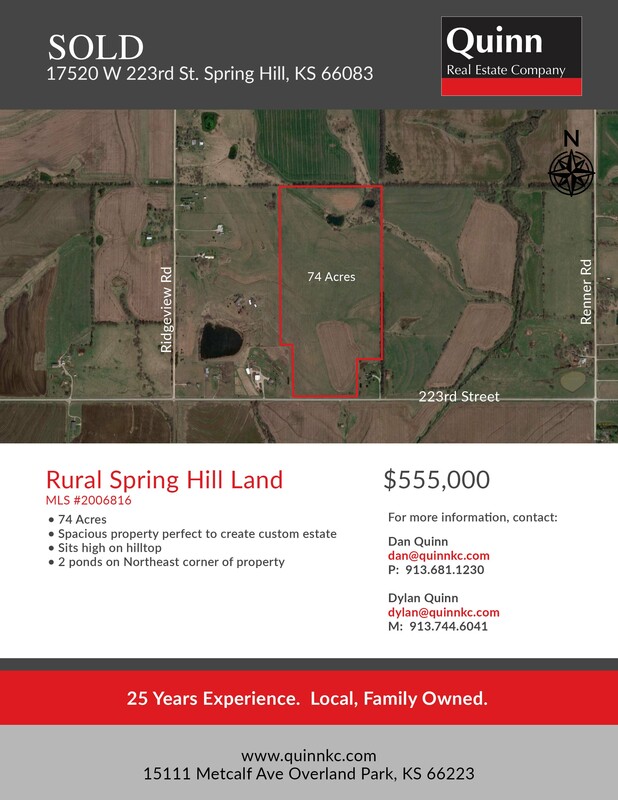 FOR SALE...22 Acres. Rural Spring Hill. Johnson County. Spacious property perfect for custom estate. Loose Park! 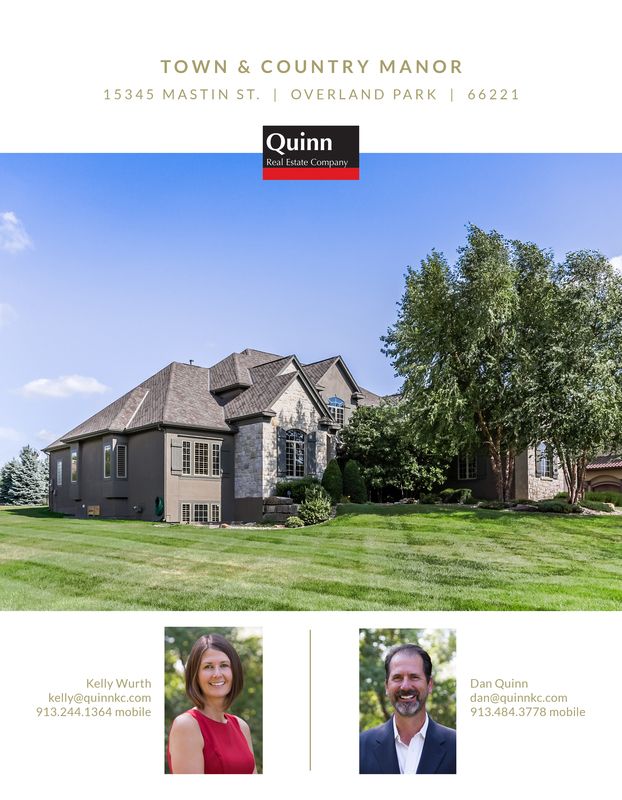 Just minutes from Country Club Plaza. 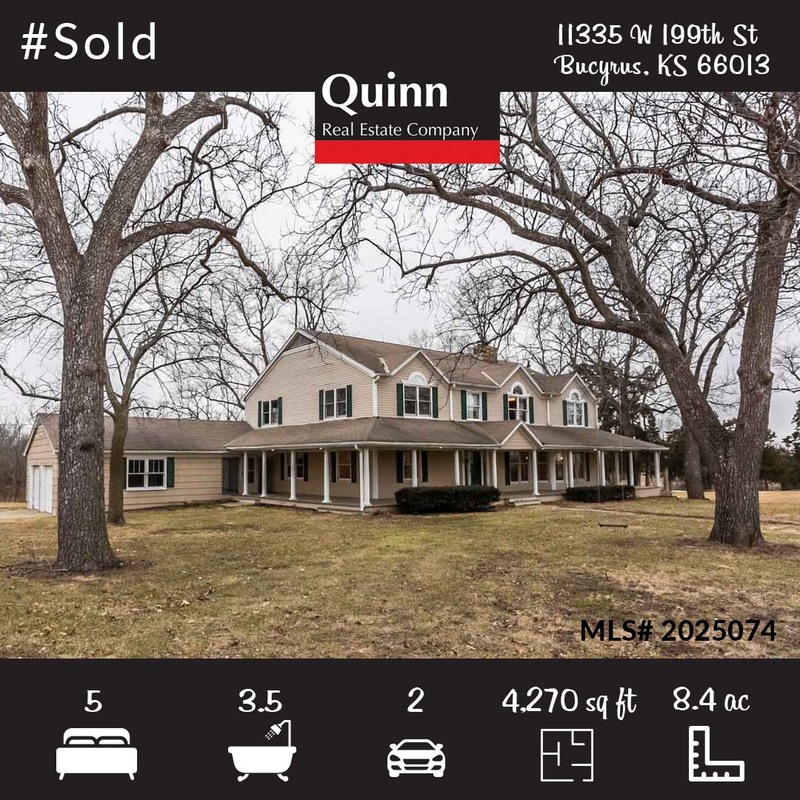 SOLD...5BR, 3.5BA on 8.4 Acres located in Blue Valley School district. For Sale...2 separate lots in Trailwood Estates. Rural Spring Hill. Johnson County. Blue Valley School District. Private cul-de-sac lots. Abundant wildlife near Wolf Creek. 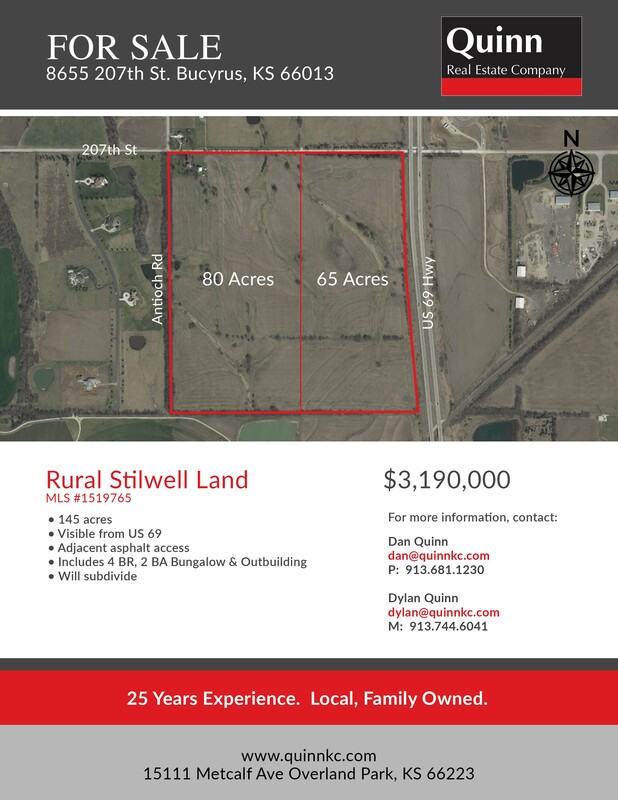 For Sale...145 acres off US 69 and 207th St. Includes 4BR, 2BA Bungalow and Outbuilding. Will subdivide. Johnson County. 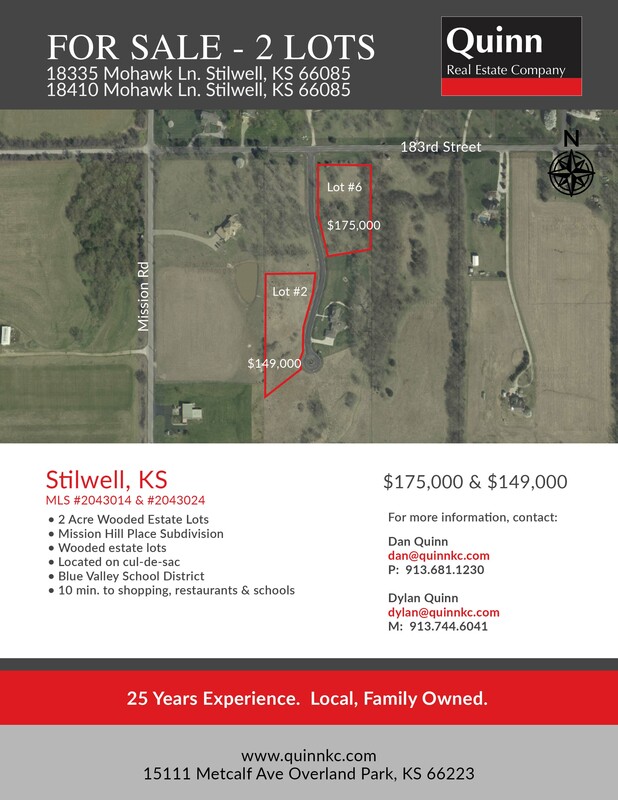 Rural Stilwell Land. 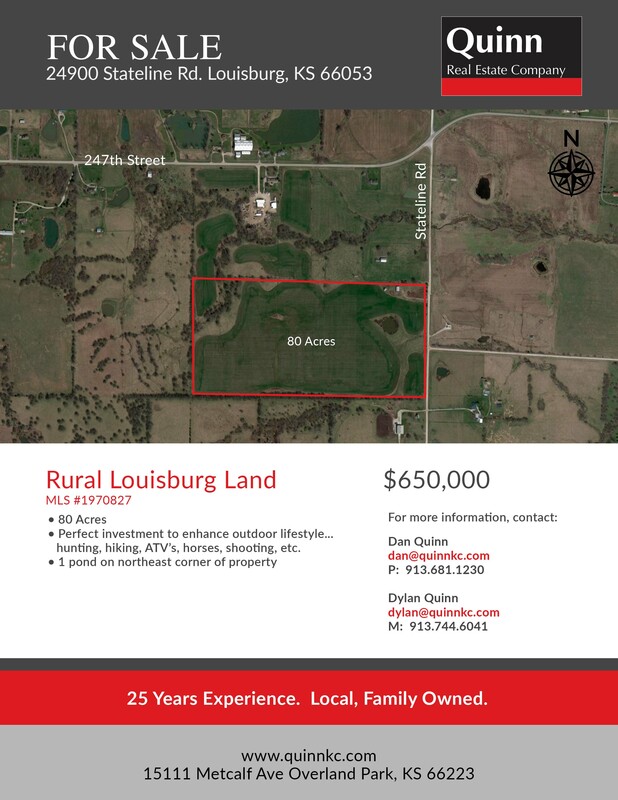 For Sale...Great development opportunity in rural Louisburg. Currently bluegrass and fescue sod farm. 1 mile off blacktop. 3 ponds on South end of property. 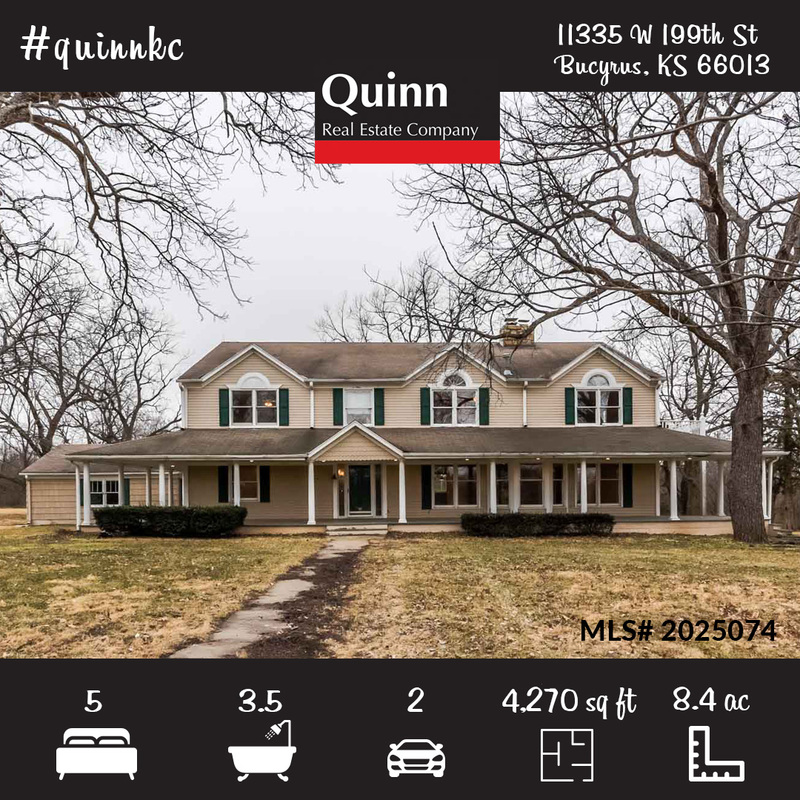 For Sale...One of a kind property with 2 yr old gorgeous log cabin home sitting on a secluded 80 acres that backs up to Mine Creek in Linn Co, KS. 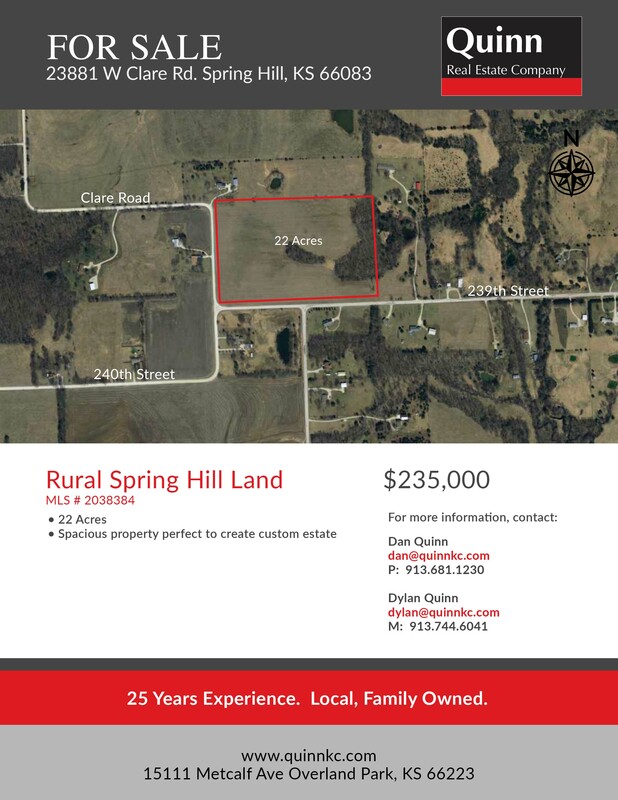 For Sale...19 acres in rural Spring Hill, Johnson County. Includes 4 BR, 3.2 BA home in Blue Valley School District. 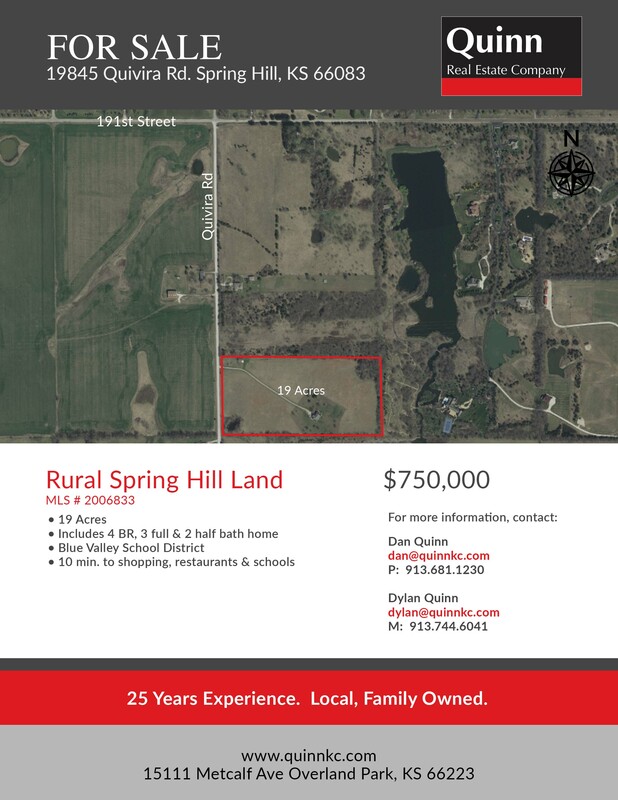 For Sale...78 acres in rural Spring Hill, Johnson County. Includes farm home and barn. 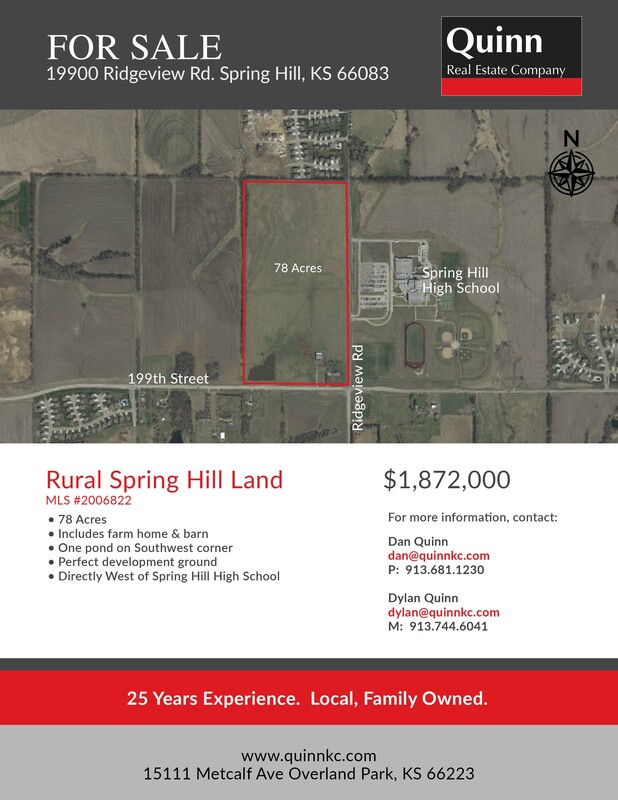 Located directly west of Spring Hill High School. hiking, hunting, ATV's, horses, shooting, etc. Exquisite 1.5 story on 1.06 acre cul-de-sac lot featuring lush landscape, inground pool, outdoor living area off lanai and kitchen. Sought after Blue Valley School District. Custom built Rick Standard, immaculate estate home on 5.05 ac. Designed for luxury and privacy! 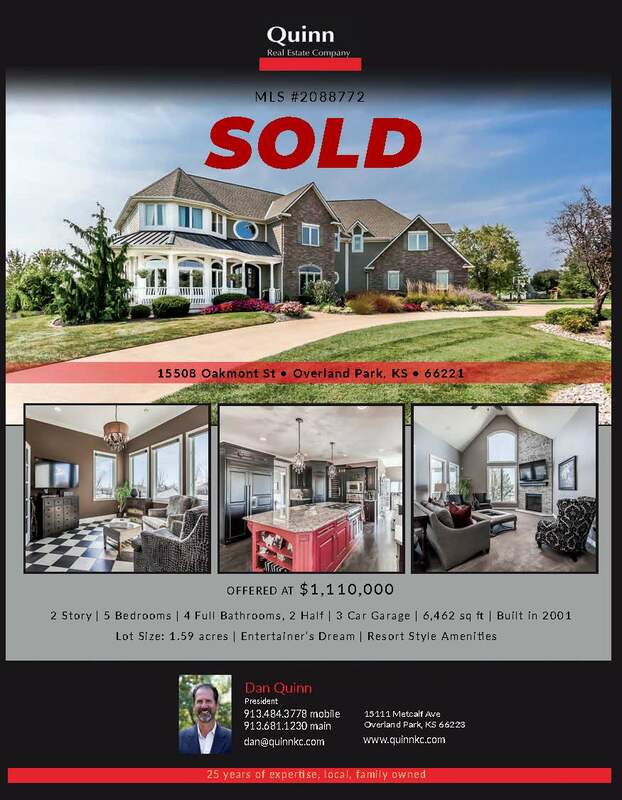 An entertainer's dream in sought after Garnet Hill subdivision and Blue Valley School District. 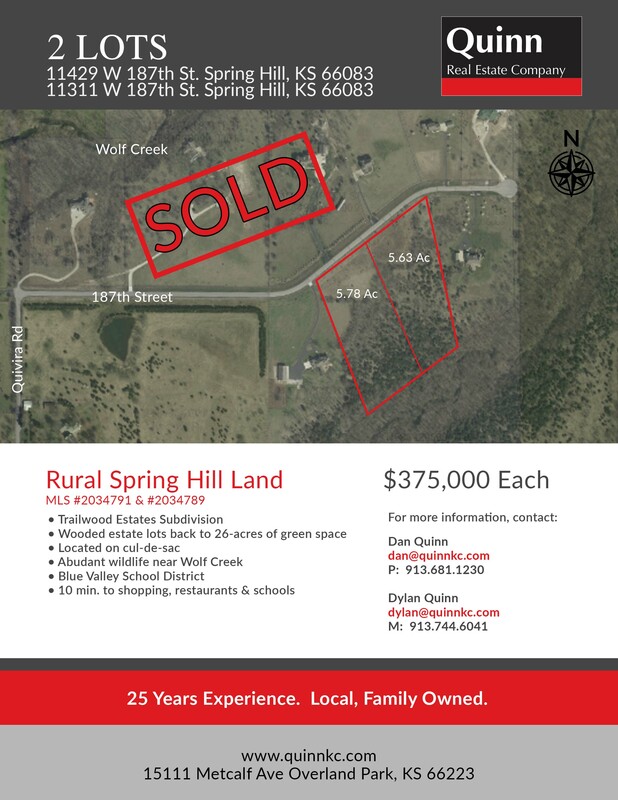 SOLD sprawling 640 Acre Salt Creek Ranch! 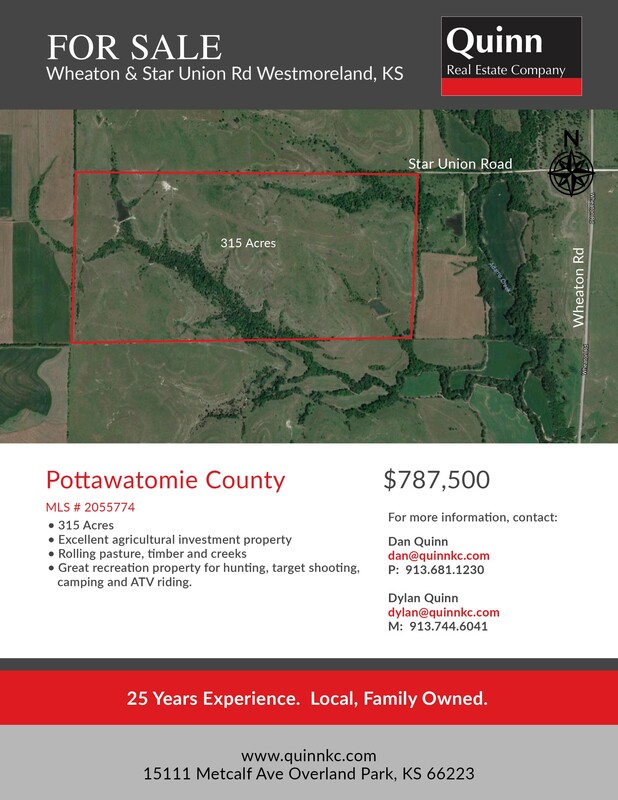 Pure, prime native pasture only 50 minutes from Kansas City located in Linn Co.